It’s been a while since I last had the opportunity to perform the Core Cardio & Balance routine. Now that I’ve been doing the “Max” Insanity sessions, it’s a welcome relief to see the duration at the beginning of these recovery videos. I do not need to steel myself up for an hour of all out oxygen deprivation. As I went through the warmup, stretch and initial moves of the workout, I was very pleased with my performance. Yes, this is an “easier” Insanity workout, but still I could clearly tell I had improved a lot since I began this Hybrid. Everything was going great until the plie squats at the end of the video. Talk about burn. I did them as commanded but, man, my thighs were burning. And I’m still feeling it this morning as I write this. Shaun T has a way of making 30 seconds seem like an eternity. Similar to the way I can drone on about nothing in a blog post. 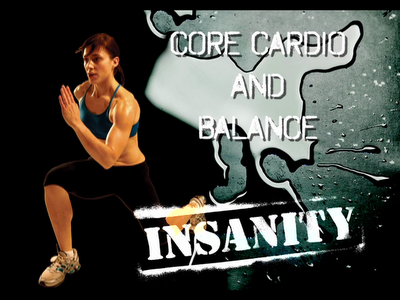 This entry was posted in P90X-Insanity Hybrid, Round 2 and tagged Core Cardio & Balance, P90X-Insanity Hybrid, plie squats, Shaun T, Tania Ante Baron. Bookmark the permalink.